Operating profits at construction firm Murnane & O’Shea rose by 36pc to €1.2m last year as revenues doubled. New accounts filed by Murnane & O’Shea Ltd show that revenues increased by 101pc, from €14.36m to €28.9m, in the 12 months to the end of March last. But the Bantry, Co Cork, firm sustained an 8pc drop in pre-tax profits to €834,793 from €906,680. This was as a result of finance costs rising to €414,275 last year from €7,749 in 2017. 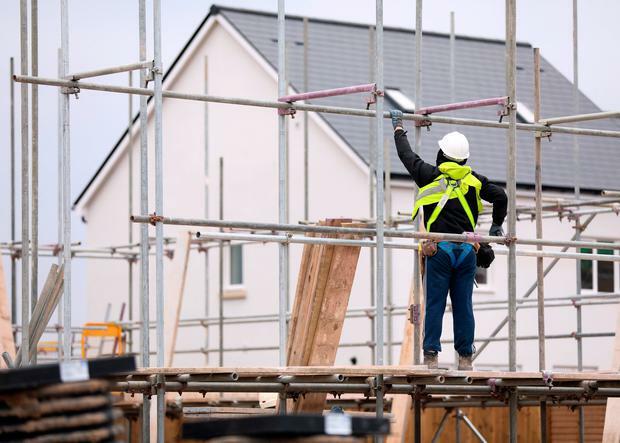 The building firm – which has no bank borrowings – recorded a post-tax profit of €698,324 after paying tax of €136,469. Numbers employed rose from 33 to 46 with staff costs up from €2m to €2.77m. Staff numbers have risen during the recovery from 10 in 2014. The accounts list Patrick Murnane and Fiona Murnane as directors and directors’ pay last year rose from €191,525 to €282,316. A note attached to the accounts said “other key personnel” were paid a total of €253,899 last year. At the end of last March, the firm had accumulated profits of €2.4m. During the year, its cash fell from €3.34m to €3.1m. The directors said turnover increased due to a rise in the number and value of contracts secured as well as sales from developments owned by the firm. They intend to increase revenues by securing further contacts and are actively tendering for further projects. The directors expect the property market to continue to grow. The accounts show that the firm’s gross profit last year totalled €2.5m after cost of sales totalled €26.39m. The company recorded operating profits of €1.24m after incurring administrative expenses of €1.288m.